Do you run a company that relies on heavy-duty equipment to get jobs done, or are you in the business of building pipelines? 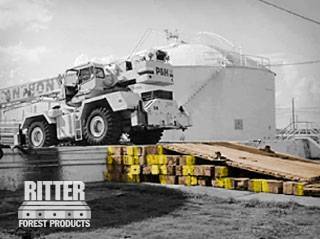 If so, Ritter Forest Products has a large selection of products that will allow you to work more safely and efficiently on any job site. We specialize in hardwood crane mat sales and rentals and keep thousands of options in stock at any given time. We also have pipeline skids for sale, Shoring material/cribbing, and more for those in the construction and drilling industries. One of the advantages of working with Ritter Forest Products is that we are able to create a custom mat and timbers in North Carolina for you. While we have an excellent selection of pre-made crane and timber mats rentals, we can also customize any order. We can make you crane mats of any size and do it using whichever materials you prefer. You can decide how your crane mats will perform once you start using them. Regardless of whether you opt to go with pre-made crane mat sales and rentals or custom options, you should strongly consider using crane mats in North Carolina any time you work with heavy equipment. This equipment can sink down into the ground and slip and slide on it if you aren’t careful. Crane mats will hold it in place and prevent it from moving around at all. 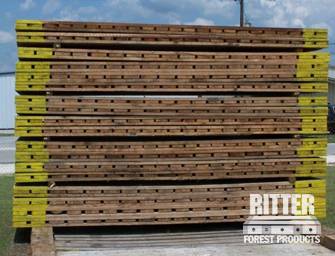 The timber mats in North Carolina that Ritter Forest Products can provide for you are durable and incredibly strong. It doesn’t matter if you have relatively light equipment or extremely heavy equipment. Our crane mat sales and rentals are designed to stand up to whatever you throw at them. They will last you for a long time once you start using them. Some of our clients need crane mats that can be moved around easily on their job sites. For these clients, we recommend our laminated and timber mats for rent. Laminated mats are made using the same high-grade materials as our other mats, but they are lighter and more versatile overall. You can even use them for lifting purposes by attaching cables or chains to them. Built using 2x8s, our North Carolina 3-ply laminated mats are very strong, but they are also more lightweight than other crane mats we carry. This makes them the ideal solution for those building temporary roads, stable platforms, and other surfaces. They are ideal for those with lighter load demands. There will be times when you will need offer more support than usual to your heavy equipment. For example, extremely heavy lifts will require an increase in stability. Ritter Forest Products can make this possible by providing you with outrigging pads that will go under your equipment. We can also send you transition mats that can be utilized to take a piece of equipment from the ground level up to an elevated platform. The process of building a pipeline can be dangerous if you don’t take the proper precautions. 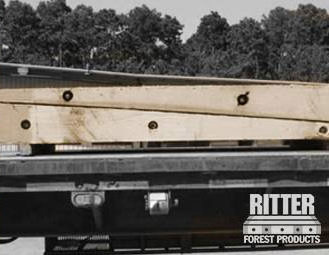 Ritter Forest Products has pipeline skids/timbers in North Carolina that will help you as you crib, rack, and elevate pieces of pipe. With a pipeline skid for sale from Ritter Forest Products, you can make sure you take a safe approach to pipeline building. 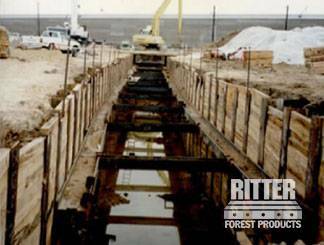 Outside of offering hardwood crane mat sales and rentals and pipeline skids, Ritter Forest Products can also provide you with Shoring material/cribbing that can be used to stabilize temporary structures, walls, and more. You can keep things standing and maintain safety by using our shoring and cribbing materials. At Ritter Forest Products, we carry everything from crane and timber mats rentals to pipeline skids for commercial and industrial companies. Inquire about how we might be able to help you today with our extensive lineup of products.